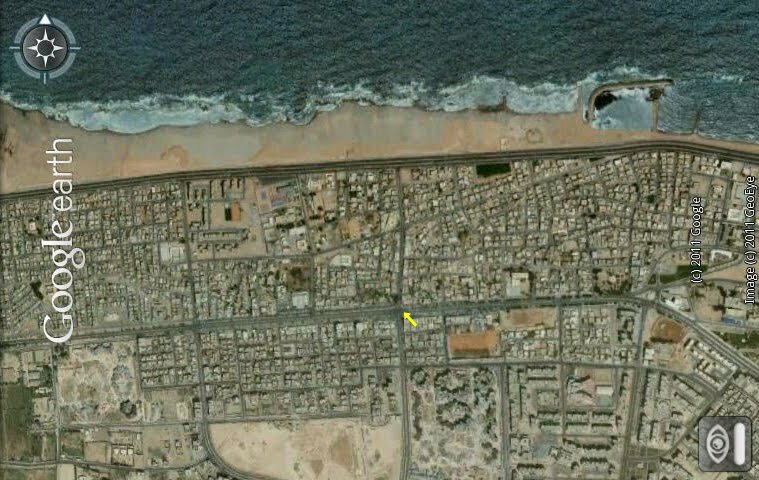 Thanks to GoogleEarth, it is possible to have a closer look at one of the remaining war zones in Libya: Sirte, hometown of the Gadafi clan. It should be noted that none of the available satellite views can be expected to show the actual situation. 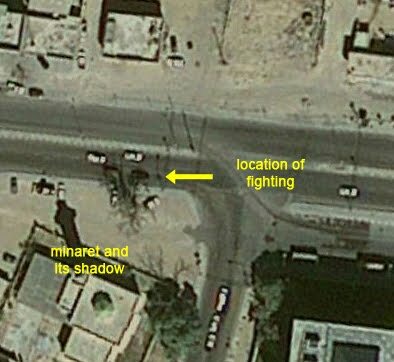 Nevertheless, there are many hidden signs of shelling and the presence of military vehicles at strategic places. The following pictures were taken and prepared the day before [September 28, 2011]. Fighters belonging to National Transitional Council said on Wednesday [Sept. 28] they were in control of the airport after intense fighting in the coastal city, one of the last of two bastions of support for the deposed Libyan leader. 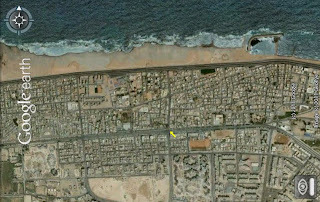 Our correspondent said:"People that are trapped in Sirte have told us that the situation is dire, there is no electricity or water. The hospitals have no medicine and no staff. "The NTC are concerned about the people that are trapped in Abu Hadi, they are from across the country. 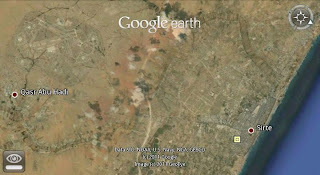 They don't have water or electricity, it seems like they have been used as human shields." "There is a an urgency for the fighters to take over Sirte as soon as possible." 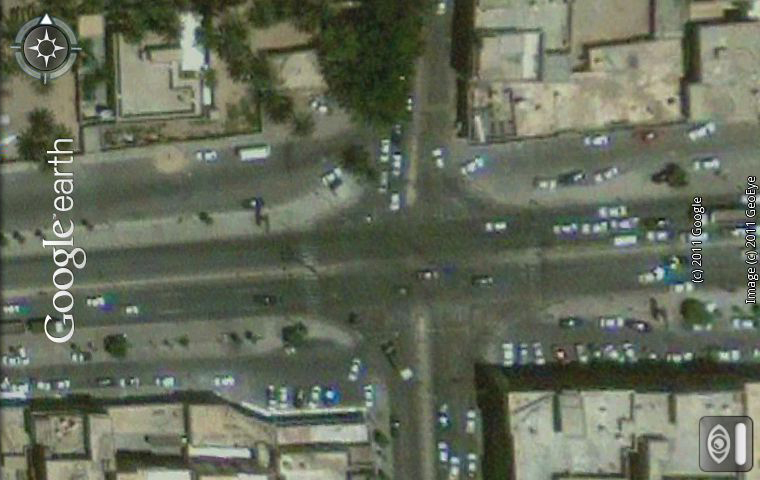 Center of Sirte. 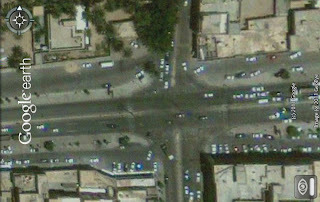 The yellow arrow indicating a street crossing that is shown in another magnified view straight below. 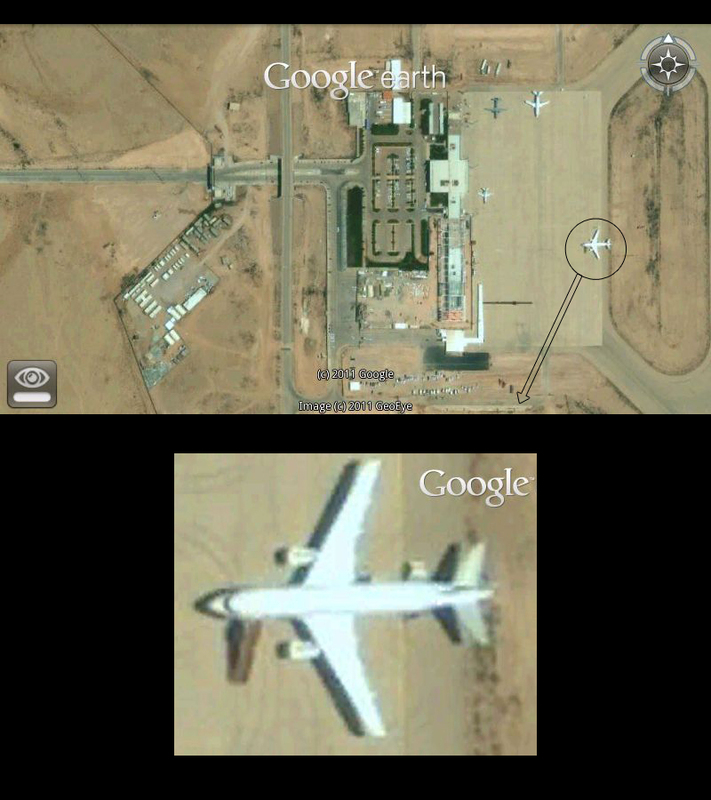 Sirte airport and township, including the above mentioned community of (Qasr) Abu Hadi. 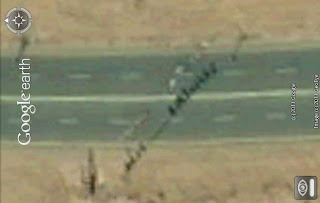 Above and below: Damaged highway between Sirte airport and township. Damages probably caused by shelling. 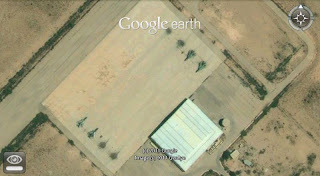 Sirte airport. 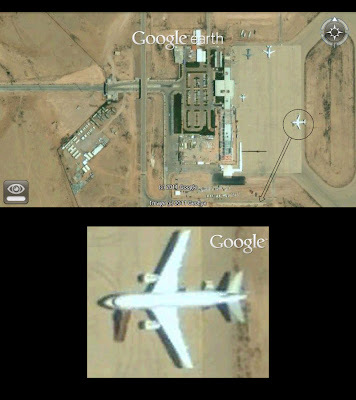 Planes could only be detected on two side terminals. 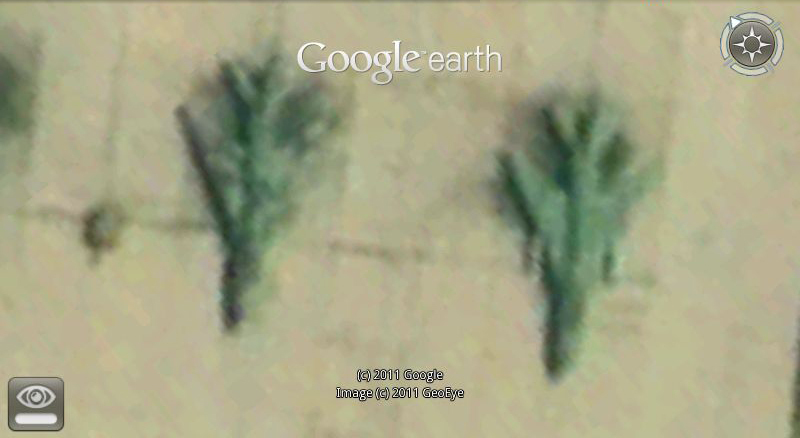 Therefore, this satellite view might have been recorded after the installation of the no-flight zone. 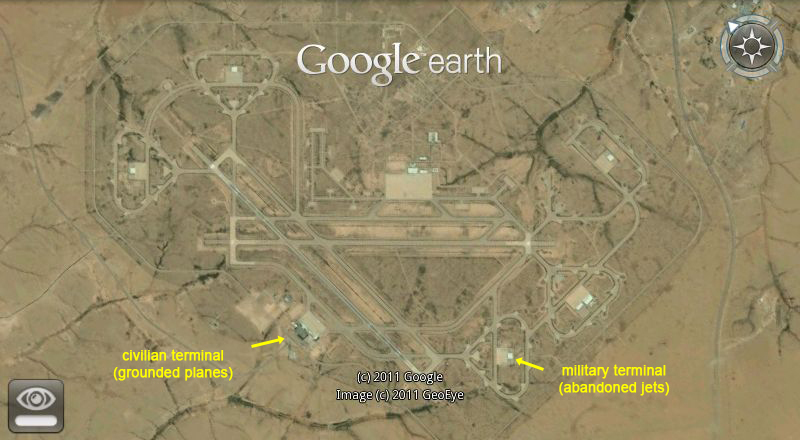 A military terminal with some abandoned jet fighters. 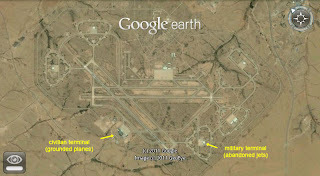 Civilian air terminal with some grounded planes.